Just two hours south of Auckland is New Zealand’s rock climbing mecca, with over 800 climbs of all grades within a 5–30 minute drive of Bryce’s at Wharepapa South. A family-owned business, Bryce’s has been providing accommodation and absolutely everything to do with climbing for the last twenty years. 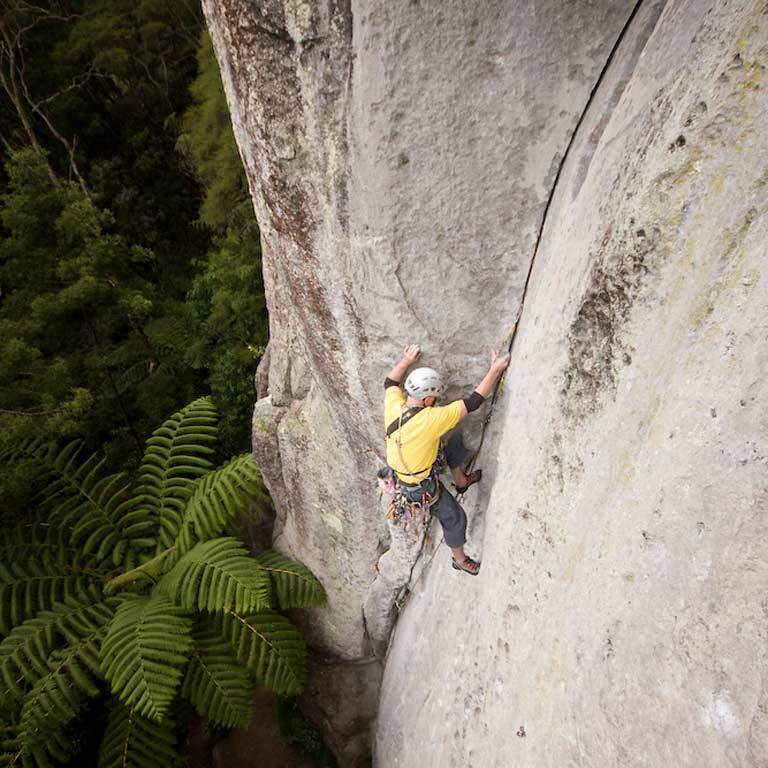 The name Bryce Martin is synonymous with rock climbing in the North Island of New Zealand. Just look at any guide book and you’ll see that Bryce has been responsible for a huge amount of climbing development in the region. It’s the philosophy of wanting to give back to climbing that each year sees a percentage of Bryce’s annual net profit returned to the climbing community by way of bolting new routes, maintaining existing climbs and sponsoring others involved in climbing development. Whether you are simply dropping in for a quick chat, or basing yourselves at Bryce’s while exploring all the great things that the Waikato region has to offer, Bryce and his wife Wendy offer a warm welcome to everyone. Bryce on Millennium Madness, Waipapa. Photo by Marty Blumen.